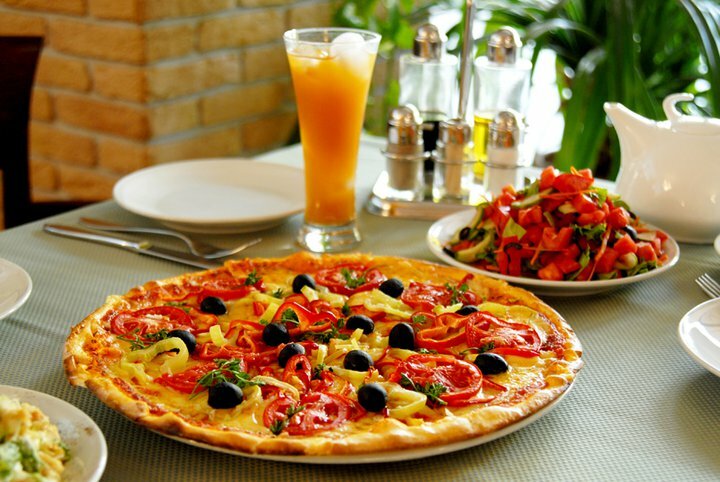 Pizzeria "Bella Napoli" is a real find for lovers of Italian cuisine. Here, in this atmosphere of home comfort, you can relax after an uneasy working day or just spend a pleasant evening with friends. The main dignity of any restaurant is, of course, food. The food here is really excellent and specializes primarily in pizza with a variety of fillings (seafood, red and black caviar, tuna, salmon etc). The secret of great taste of “Bella Napoli” pizza is use of high-quality and fresh ingredients, abidance of Italian traditions in its preparation and professional chefs. The staff, nice atmosphere, great food, all this contributes to a great pastime. Having been in Italian restaurant “Bella Napoli”, you will experience the delightful atmosphere ofItaly, enjoying the great taste and aroma of real Italian pizza.